If any one performer personified the outlaw country movement of the '70s, it was Waylon Jennings. Many artists, including Willie Nelson and Kris Kristofferson, followed Waylon's anti-Nashville stance and eventually the whole "outlaw" movement - so-named because of the artists' ragged, maverick image and their independence from Nashville - became one of the most significant country forces of the '70s. 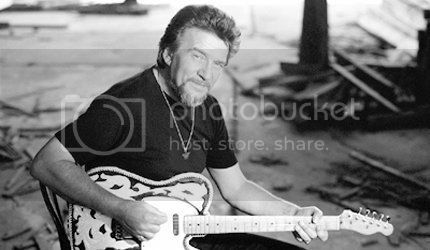 Waylon Arnold Jennings was born in June 15, 1937 in Littlefield, Texas, the seat of Lamb County. 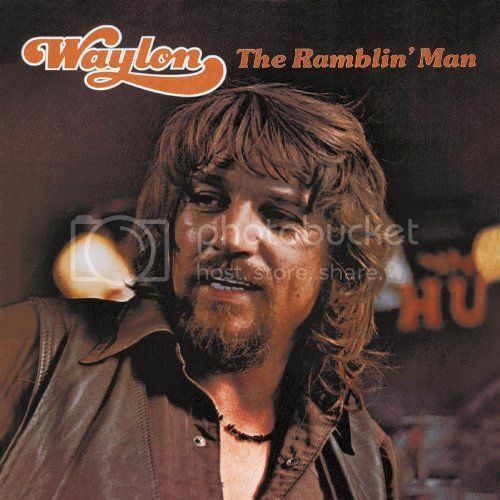 His original birth name was Wayland, meaning land by the highway, but it was changed after a Baptist preacher visited Jennings's parents and congratulated his mother for naming him after the Wayland Baptist University in Plainview, Texas. The 12-year-old Jennings auditioned for a spot on KVOW in Littlefield, Texas. Owner J.B. McShan, along with Emil Macha, recorded Jennings's performance. McShan liked his style and hired him for a weekly 30-minute program. Following this successful introduction, Jennings formed his own band. The style of the band, a mixture of country and western and bluegrass, was often not well received. Jennings met Buddy Holly during the broadcasts of Sunday Party. Holly, who wanted to start in record production, arranged a session for Jennings. 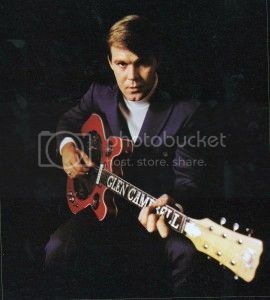 On September 10 Jennings recorded the songs �Jole Blon� and �When Sin Stops (Love Begins)� with Holly and Tommy Allsup on guitars with saxophonist King Curtis. 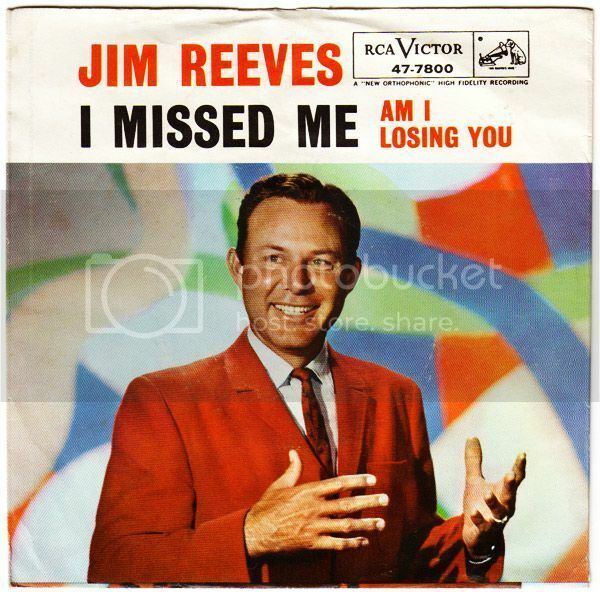 The single was released on Brunswick in 1959 with limited success. Holly then hired Jennings to play electric bass for him during his Winter Dance Party Tour. After a show in Clear Lake, Iowa, Holly chartered a plane for himself, Allsup, and Jennings to avoid a long bus trip to Fargo, North Dakota. Allsup lost a coin toss to Ritchie Valens for his seat on the plane, while Jennings gave up his seat to J. P. Richardson, who was suffering from a cold. 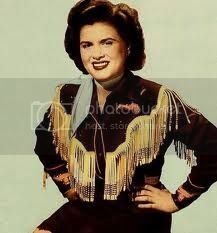 Holly jokingly told Jennings, �I hope your ol' bus freezes up!� Jennings replied, �Well, I hope your ol' plane crashes!� During the early morning hours of February 3, 1959, later known as The Day the Music Died, the charter crashed outside Clear Lake, killing all on board. In the early 60's, singer Bobby Bare, who covered Jennings's songs �Four Strong Winds� and �Just To Satisfy You,� recommended him to producer Chet Atkins, who signed Jennings to RCA Victor. Jennings made his first appearance on the Billboard's Hot Country Songs chart with �That's the Chance I'll Have to Take� and became friends with Willie Nelson, who went to see one of his shows in Phoenix, Arizona. Jennings truly crossed over into the mainstream in 1976, when Wanted! The Outlaws - a various-artists compilation of previously released material that concentrated on Waylon but also featured songs from his wife Jessi Colter, Willie Nelson, and Tompall Glaser - peaked at #1 on the pop charts. Jennings' other hits included "Mamas, Don't Let Your Babies Grow Up To Be Cowboys," "Luckenbach, Texas," "Good-Hearted Woman" and the theme from The Dukes of Hazzard. Active between 1985 and 1995, The Highwaymen was a Country music supergroup comprising four of the genre's biggest artists well known for their pioneering influence on the outlaw country subgenre: Waylon Jennings, Johnny Cash, Willie Nelson, and Kris Kristofferson. Their Columbia works produced three chart singles, including the #1 "Highwayman" in 1985. Despite his decreased sales (which were largely due to the shifting tastes in country music), Waylon remained a superstar throughout the '90s. In 1996, he signed to Justice Records, where he released the acclaimed Right for the Time. His work was slowed by his health in the years following that album, as complications from diabetes made it difficult for him to walk. The two-time Grammy winner was notorious for his hard-living lifestyle. In his 1996 autobiography, Waylon, Jennings documents his longtime battle with drugs, as well as financial turmoil. His foot was amputated in December 2001 because of his illness, and he died on February 13, 2002, at his home in Arizona.